Doosan Portable Power has named Hoffman Equipment as an authorized distributor. The company will supply Doosan Portable Power air compressors, generators, light towers and light compaction equipment throughout New Jersey, New York and Pennsylvania. Hoffman Equipment has been serving the construction, transportation and equipment industries for 100 years and has a strong presence in the Northeast markets. The company is known for its excellent service and customer support. The Piscataway, New Jersey-based distributor recently acquired Penn-Jersey Machinery locations in Deptford and Middlesex, New Jersey, and Lionville, Pennsylvania. The additional locations add to Hoffman Equipment’s existing presence in New Jersey and New York, while expanding into the eastern Pennsylvania region. 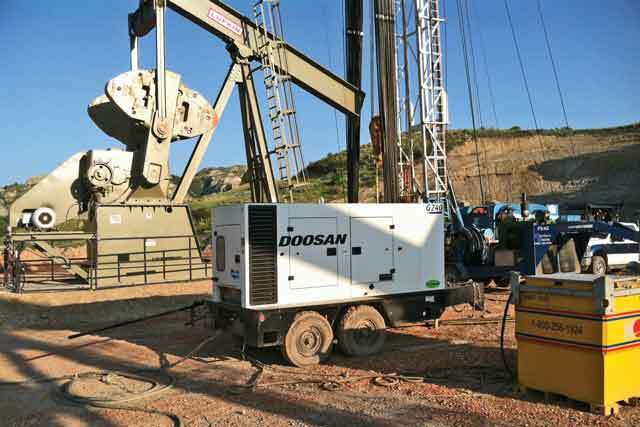 Hoffman Equipment’s certified technicians offer 24-hour emergency service, on-site service and jobsite delivery, making the authorized Doosan Portable Power distributor a one-stop-shop for portable power equipment needs. For more info on Doosan Portable Power, just click this link. You have the power!